How about an oasis in your back yard? 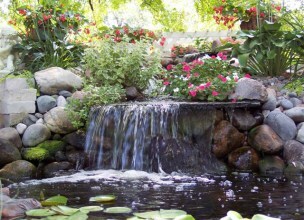 At Grimm’s Garden we can install the perfect water feature to meet your needs. 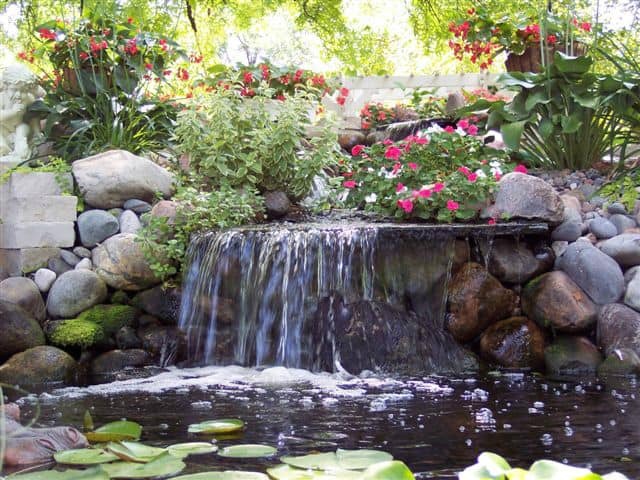 You may want a large pond with fish and aquatic plants or maybe you have a smaller pondless water feature in mind. Whatever you desire, we can provide. Some of our installed jobs are the most beautiful water features in the area! Be sure to view our gallery below to see some of the great designs we have built for our customers. Also, ask about our maintenance options for maintaining your water feature.